A graveside service for Beverly Barron McFarland, 83, the mother of Sharon Chadwick of Davis, will be held 2:00PM, Tuesday, February 6, 2018 at Duncan Municipal Cemetery. She worked with her daughter and granddaughter at The Davis News for over 20 years before her health declined in 2014. Before moving to Davis, she was a market research assistant with Halliburton Services in Duncan. She wrote that she would like to be remembered for the caring and compassion she had for her family, her fellow man and anyone in need. She was happiest when helping others, and this continued during her three years at Wynnewood Care Center. 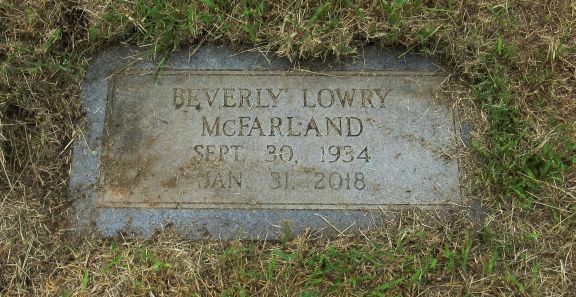 She was preceded in death by her parents, Geraldine (McLendon) and Orvis H. Lowry, her son, Barron Kent Ratzlaff, in 2015, and her granddaughter Alesha Henley in 2013. 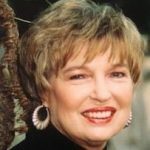 Her survivors include: her daughter and her husband, Richard Chadwick; her daughter-in-law, Debbie Ratzlaff of Wylie, Texas; five grandchildren, Tamara and Kristina Ratzlaff, Kris and Kevin Koller, and Grant Henley, and five great-grandchildren. Previous Previous post: Congratulations, Josh! Next Next post: 2018 – a Kehler Family Reunion?